Après 9 mois en ligne, mon webdocumentaire a été retiré du site de Liberation.fr. La raison est principalement technique puisque le projet est codé en Flash et toutes les vidéos (67 minutes) sont hébergées sur leurs serveurs et non sur des YouTube ou Dailymotion. Mais avec plus de 20.000 visiteurs uniques, je suis plutôt content du résultat. Le travail n’est cependant pas perdu puisque j’ai décidé de l’héberger sur mon site pour que vous en profitiez en attendant une éventuelle version HTML5. Quand au chapitre III “Portraits”, et bien ce sera fait… quand j’aurai le temps. Pour l’heure vous pouvez cliquer ici pour le regarder. 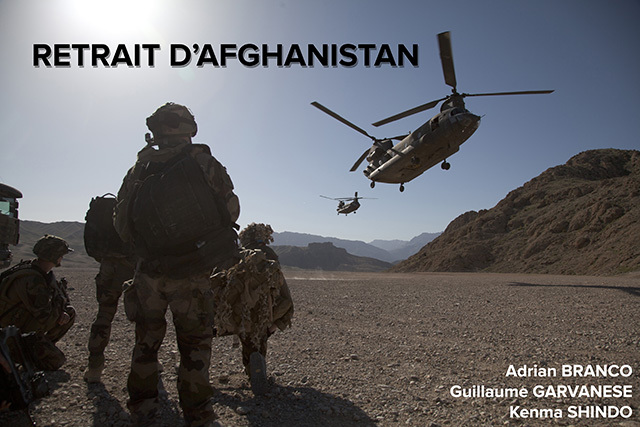 After 9 month, my publisher Liberation.fr removed my webdocumentary from it’s website. The reason is mainly technical as the project is hard-coded in Flash with all the videos (67 minutes) on their server, and not on YouTube or DailyMotion. But with more than 20.000 unique visitors, I pretty pleased with the result. The work is not lost as I decided to host it on my website so you can enjoy it until I make a HTML 5 version of it. As for the chapter III “Portraits”, well, it’ll be done when I’ll find the time. As for now, you can click here to watch it. This entry was posted in News on 24 July, 2013 by legrandchef. For my webdocumentary (in french) I wanted to give my audience a good sound experience, even if my knowledge in sound hardware is far from average. As any independent journalist, my budget was very low :500 € for something I wanted as close as possible to a professional quality. In this hunt, the advices of the guys at the Parisian shop “Le microphone” (1) were more than useful. Knowing my needs, they discarded all my choices (I’m snobbish when picking up hardware; I tend to always select the best and… the most expensive!). Instead of pushing me to invest zillion of Euros, they help me to select entry level pieces of equipment. But the good one. Hang-coaters on the left, underwear in the furniture, the washing machine on the right with the amazing “echo stopper towel”. 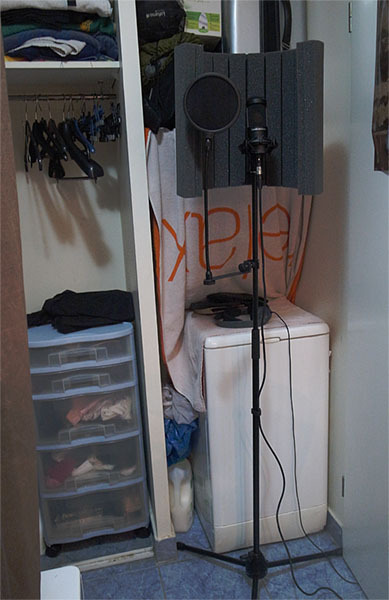 And the microphone + vicoustic shield + antipop-filter all suspended on the tripod. Here’s the complete setup with the prices in euro (go and grab a converter American/British friends !). Under the 500 € I wanted to spend. Of course, I did the recording on site in Afghanistan with another field recorder (a Tascam DR-100, I’ll talk about it in a later post), so this is only a voice-over setup. But it’s cheap regarding the quality you can get from it ! On the computer side, my laptop was running the excellent Hindenburg Journalist Pro, a light yet full of features piece of software (again, I’ll talk about it in a future post). So the only place that was available was… my bathroom. As Parisian apartments are quite small, it was a challenge: the tripod will stick to the washing machine, a towel will limit the natural echo of this kind of room, and TV in the living room had to stay quiet (not that hard: it stays idle during weeks). And the computer has to stay outside the closed door to avoid any blowing noise from the fans. So I was glad to have a male/female 3.5 mm jack extension for my headphones and a 3 m long XLR cable to run under the door. 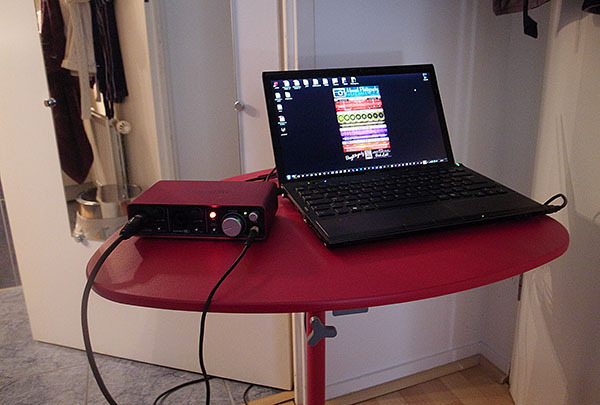 Outside the bathroom, the brave computer and the external Focusrite Scarlett 2i2 soundcard. My first concern was the sound quality of course: how good (or bad) will perform an entry level setup into a tiny Parisian bathroom ? After recording the first pieces of audio, I send them to my friend Kenma Shindo, a musician & composer who mixed and composed the soundtracks of the documentary. And his reaction delights me: the day I sent the files he called and told me that the quality was “simply amazing, especially regarding the price. 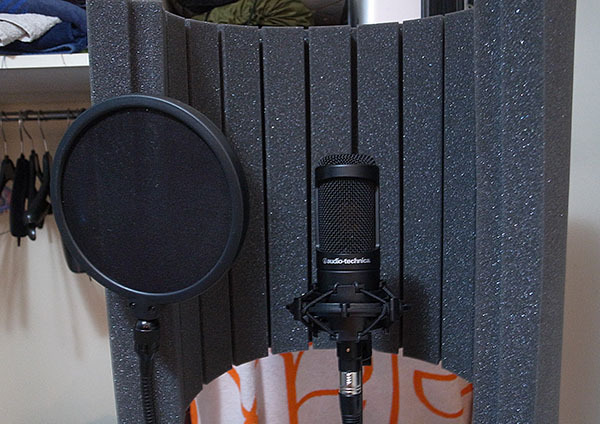 The quality is not that far from our setup at work* which is built upon far more expensive microphones“. Of course, it took me many takes to get a good shot. And Kenma worked on my voice a little bit. But even without it, the audio quality I get from my humble setup was nothing less than “very good”. I hope it’ll help you to pick the good pieces of gear you need, and if you have similar setup, some feedbacks and/or experiences to give, feel free to leave some comments! (1) No worries, I’m not linked to them at all: they don’t know me and, obviously, don’t even know that I’m writing about their store. But good shops deserve a little free ad. This entry was posted in Guides on 4 February, 2013 by legrandchef.